DreamHack! The second time for me and the first time I joined the summer edition. 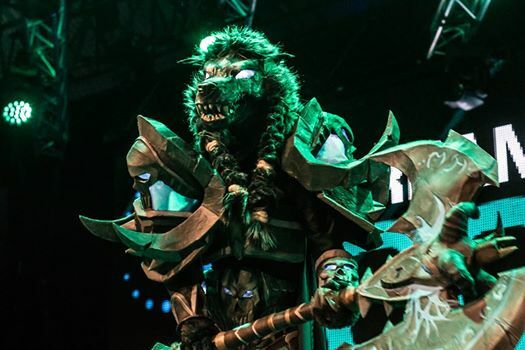 After lots of preparations and more awesome stuff for my Worgen Deathknight cosplay I had a second chance to try and get on stage again. But first of course, getting to Sweden was priority. After seeing familiar scenes and faces it was time to pack our things and get on the long, long journey to cold Sweden again with a bus full of guys in the mood for bad jokes and even an illegal lifter (no idea where he came from!). Thank god it’s summer this time (really crazy, the sun gets up at 3 am!) and the temperatures are a lot more bearable. Other than the weird cycle of the sun and the temperatures, the whole event didn’t change much in itself. Tons of people enjoying their time together and their computers, an amazing expo and enormous stages for contests, e-sports, giveaways and DJ’s! Unlike last time (my costume broke, so I couldn’t get on stage unfortunately) I was finally able to grab a little bit of that feeling on stage and managed to participate in the big cosplay contest hosted on Sunday afternoon. It was such an amazing experience to walk up there, seeing so many people cheering and yelling for all the work you put into, showing it off. The adrenaline totally washed away all the pain and discomfort from the time waiting and the parade just before it and I managed to put up a show for the crowd. First time on stage was a big success! I didn’t win anything unfortunately, but the competition was big and offered a lot of quality, so I have no hard feelings. I got lots of compliments before and after the contest and overall it was just amazing to be able to join and show off! On Monday I decided to meet up with a lot of cosplayers that planned to meet each other at the entrance, which was a great thing to join. It was a big group and we made quite a couple pictures and posed for the photographers. A while later I even got to meet the Minister of IT (or something like that). Grabbed a couple pictures with him and answered a few questions for a small interview for the local newspaper. Besides cosplay I had lots of things to watch at both the expo and the lanparty (and I played a lot of games of course), and chat up with everyone else in the halls. I had a lot of fun and some good laughs the last few days, meeting more people, trying to remember names and exchanging stories. I even got a few nice goodies from the expo, like posters, a really big smooth silky mousepad, and a USB stick. I hope I’ll be able to join next time again, bringing an even more awesome cosplay (I already have ideas!) and get on stage again. Now it’s soon time to pack it up again and head home, back to normal life, and full of plans for next time. But first, a whole night of gaming ahead of me! 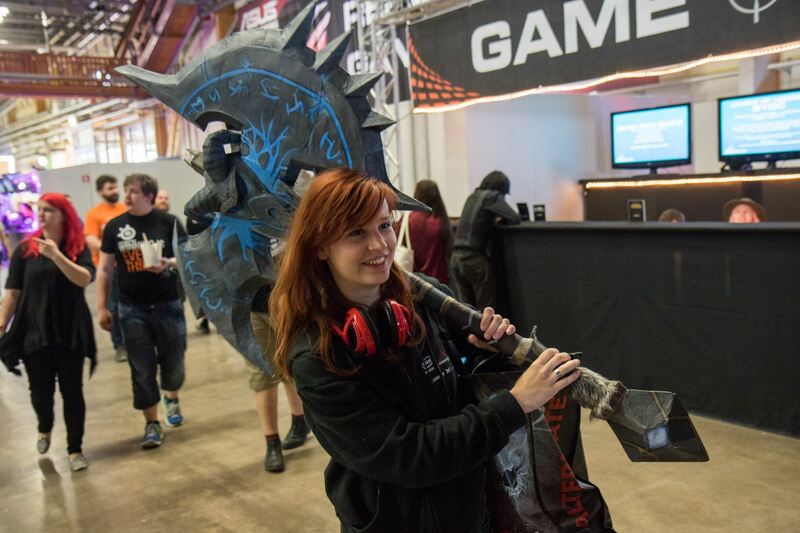 Check out our DreamHack Summer 2015 Cosplay photo album at Facebook. Photos made by Luc Marc Dijkstra.